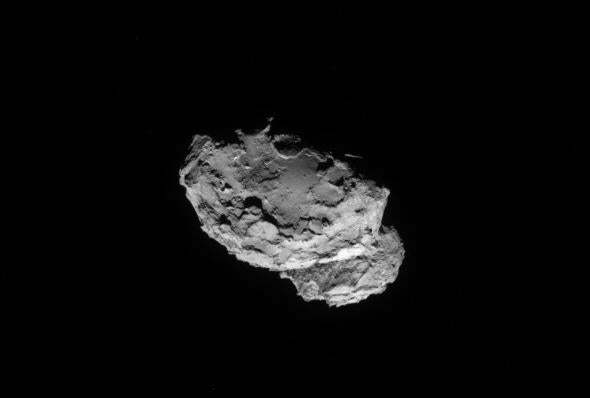 Rosetta: 234 kilometers and closing! 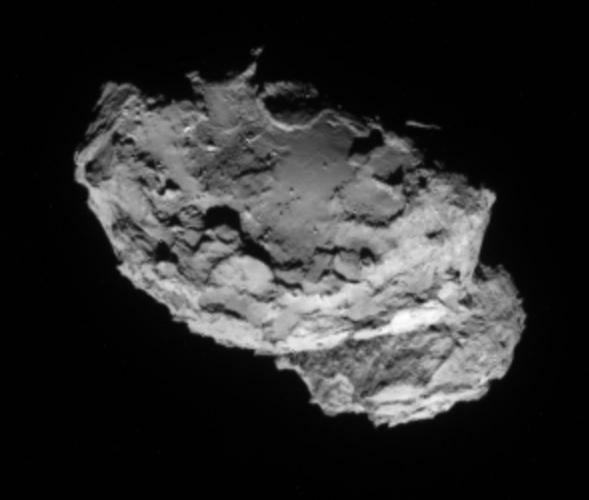 Rosetta snapped this shot of the comet 67P/Churyumov-Gerasimenko from a mere 234 km away. It’ll get closer yet by tomorrow. That’s because Rosetta will perform a final braking maneuver at 09:00 UTC (05:00 EDT) Wednesday (Aug. 6) morning and will enter an initial 100 km orbit above ChuGer at 09:06 UTC when the thruster burn is completed. When this occurs, it will be the first time in history humans have placed a spacecraft into orbit around a comet. The ESA will provide a live feed of the events starting at 08:00 UTC Wednesday.